Cool New Merch and Graphic Novels! Posted: Thu Feb 09, 2017 4:45 am Post subject: Cool New Merch and Graphic Novels! 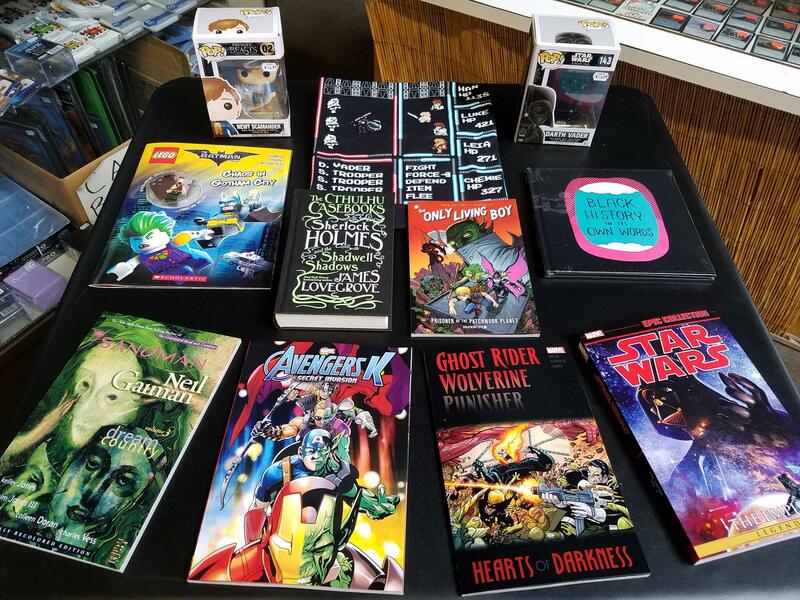 Fresh from our comics shipment this week, we've got a small-batch, artisan selection of awesome new merchandise, books, and graphic novels! New titles include The Cthulhu Casebook: Sherlock Holmes and the Shadwell Shadows, Black History in it's Own Worlds, and Star Wars Legends Volume 3: The Empire. There's also a new Lego Batman Movie activity book (with mini fig!) along with some great new merch like Fantastic Beasts: Newt Scamander and Star Wars: Darth Vader POP! figures and a way-too-cool (large) Star Wars 8-bit Light vs Dark T-shirt. Stop by the store to check out all our latest graphic novels, merchandise, and comic books today!